There is not enough silence. Enigmatic – Jimi Dewhirst – Hydranoidmusia. I missed my weekly blog post last week, and it did not go unnoticed by some of my regular readers and I appreciate their enquiries as to when they could expect to see a new post. Well I won’t deprive you any longer of my musings and will try and explain why I missed my post last week. My spare time over the last couple of weeks, when I have not been working on Dig the Poetry and The Stroke Association Anthology, has been taken up writing a new script for a production that will be staged as promenade theatre on the streets of Tamworth on 30th October to commemorate the anniversary of the heroic death of Colin Grazier. Drawing from the work of Phil Shanahan, who as the editor of the Tamworth Herald, came across the story and created a campaign to bring it to the story into the full light and thus ensuring the three sailors place in history was well documented. Phil’s book the Real Enigma Heroes is published by The History Press. 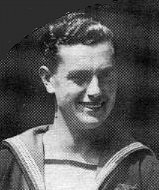 Able Seaman Colin Grazier GC was born and grew up in Two Gates, Tamworth. He married 2 days before he returned to HMS Petard, never return. The first act sees him getting married, with all the hopes for the future ahead of him and his wife Olive, with their farewell to be acted out at the Railway Station. The second act is more brutal with the events in the Mediterranean Sea being delivered through movement and dance to a new score by Jimi from Hydranoidmusia. The piece is a poetry narrative that explores the thoughts of the sailors now they are in the battle zone, the hunt for the submarine, the battle, followed by the scavenge to retrieve the important documents that we so vital in the war effort and the sinking of the submarine taking the lives of Colin and Tony Fasson. I am working on converting the poetry into Morse code to be transmitted as the sound of dots and dashes as the actors perform, I am also looking at how I might encrypt them using a virtual Enigma machine. The performance is being produced by Artsconnects and Fired up Theatre, who produced the much acclaimed production of The Wall in June. It will draw its cast and crew from the Community and will be a tribute to Colin, Tony and Tommy on the anniversary of the events. It is hoped to develop this into a bigger performance piece, next year. More information on the show can be found at Mid * Point. Since my last post there have been two workshops in the Dig the Poetry programme. 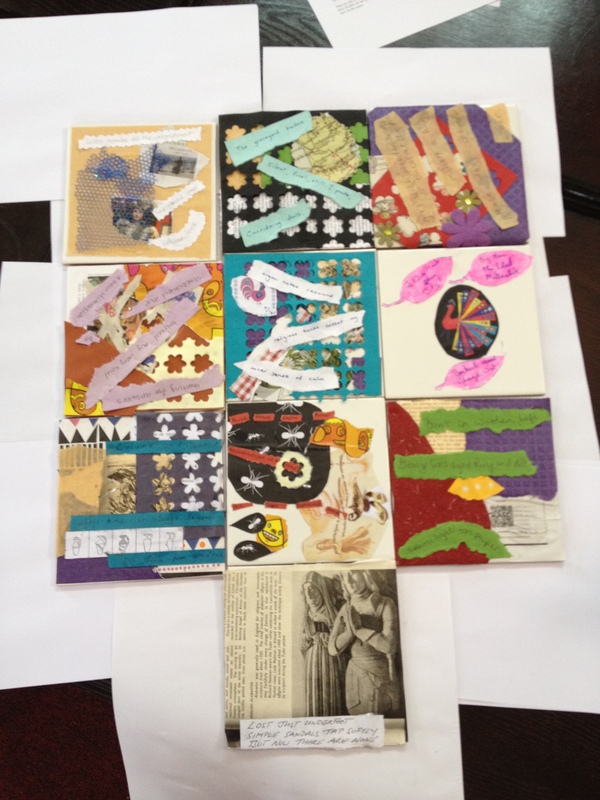 Friday 17th with Jacqui Rowe – the workshop is entitled Object to Poem – Poem to Object – the workshop used tiles to inspire new poetry in particular Haikus which participants were be able to produce a design on to a tile to create a new artifact. Sat 25th August with Maeve Clark – the workshop entitled Fragments of Time, explored artifacts in great detail to bring out its previous life, its current life and future life. The 25th also saw a full day of activities which will included a stone mason working on site to create a replica piece of a window that has been found on this years dig and also a tile maker who demonstrated how the floor tiles (tiles are big part of the dig this year). With an opportunity for people to make their own tiles. I, with the great help from Gina Coates gathering words and limericks from the visitors. The promised rain never came and it turned out to be a really great day. The final workshop for this year is next Saturday. Sat 1st September 10am to 2pm with Jo Bell – the workshop entitled Strata’s – will explore the layers of Archaeology and compare them to the strata’s of our own lives. All the events take place at Polesworth Abbey, Polesworth in North Warwickshire. These workshops are an exciting unique opportunity to discover new themes in response to the Archaeology and I would encourage all writers, from beginners to published poets and authors to come along and find your muse. 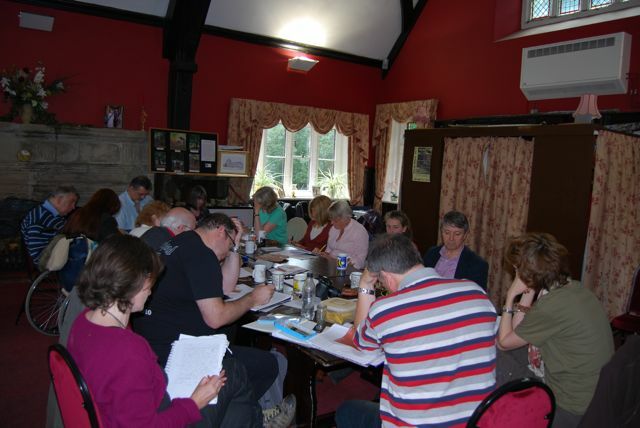 There will be opportunities throughout the dig for writers to go along and observe making notes or creating new pieces in the peaceful haven of the Abbey grounds so even if you can’t make the workshops do find sometime to go along and soak it all up. LIMERICKS AND WORDS FROM AROUND THE WORLD. There is still time to send me Limericks and words. Limericks are coming in with an amazing amount of ideas and themes, however I am still looking for Limericks on the theme of Archaeology, these will be judged by the Archaeologists. I am also receiving words from far and wide (well Portsmouth s the furthest so far) for the collaborative poem I am still looking for words to be included in a poem. Visit the Dig the Abbey website (www.digtheabbey.co.uk) and take a look at the activities and send me your words as impressions of what you see. Also tell me where you are located in the world so that I can estimate how far your words have come to Polesworth using MapCrow. You can enter by sending your words and limericks to maldewhirst@yahoo.co.uk. I have created a page on the menu bar above with the details on how to submit work for this exciting new project, which has already stirred some good interest, with submissions being sent into me well before the deadline of 8th October. And to on top of all of this there are STILL on-going discussions for further projects – So WATCH THIS SPACE. 8th September – THE FIZZ at Polesworth Abbey celebrates DIG THE ABBEY through DIG THE POETRY – readings start at 3:30pm. WHEN CHARITY DIGS THE POETRY. Trying to make things simple in a complex place. Asleep in the back – Elbow. Last week my delight was potential new projects – Well here is the first that provides poets and writers an opportunity to contribute to a new anthology. I am delighted that THE STROKE ASSOCIATION (East Midlands) have asked me to edit a book of new writing which will be published as an anthology to celebrate their first 20 years of raising awareness by providing high quality, up to date information for stroke patients, their families and carers. The Stroke Association is registered charity whose work reaches out to all regions of the country, providing links to support groups, information and funding research into prevention of strokes. This year the Stroke Association is celebrating its 20th anniversary. We will be putting on a series of events and activities to get more people than ever supporting us. 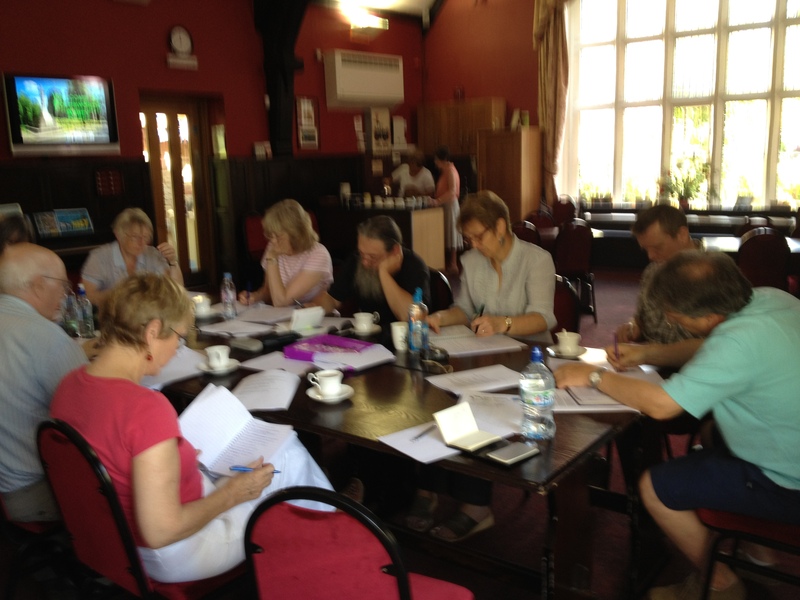 The regional team for the East Midlands decided that as part of the celebrations we would like to produce a book of poetry, short stories and photography. We felt that this was an excellent way of bringing people together as everyone in the region – staff, stroke survivors and volunteers are able to contribute. We also felt that we would like to produce something unique and tangible which will leave a legacy long after 2012 has become a distant memory. We would value your contribution to the book to help us achieve our ambition of producing a high quality collection which can be sold – hopefully raising awareness and valuable funds. The theme of the collection is “20” in line with the anniversary. This can be interpreted in any way you wish and should set a challenge for you all to work with! For my part I am seeking poems, flash fiction or short-short stories (less than 1000 words) from writers who wish to contribute. The work should be based around things associated with the number 20. This can be the theme of the piece but anything that has an association with 20 is acceptable. 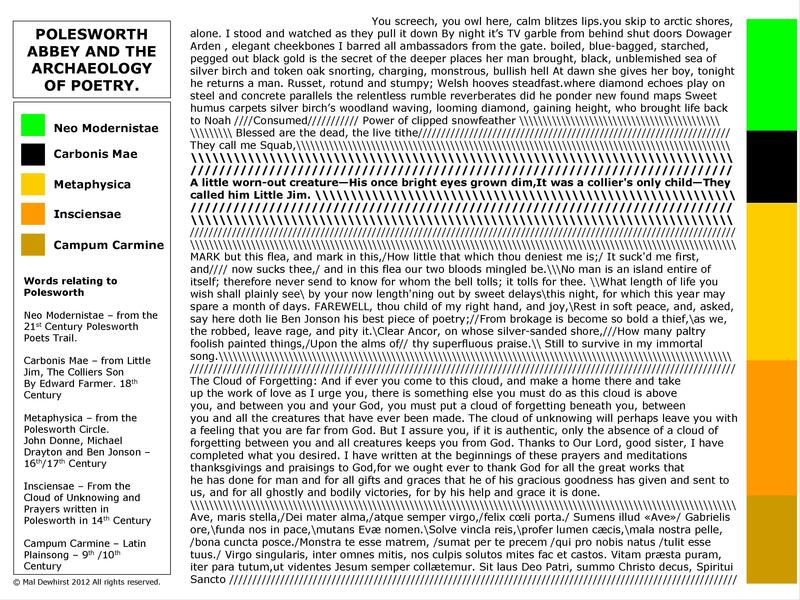 Such as a poem on any theme that has 20 lines or 20 words or 20 syllables (Fibonacci Poetry), for example, or a piece of flash fiction in 20 words. You could produce a piece in 20 minutes or hours or days. These would all be acceptable in terms of the brief as would any other approaches you take to explore the number 20. The aim is to create and publish some great new writing as an anthology that stands alone as a book that represents the best of writers. There will be a limit to what can be included and so the pieces will be selected by a panel, looking for the best writing and creative use of the subject matter. 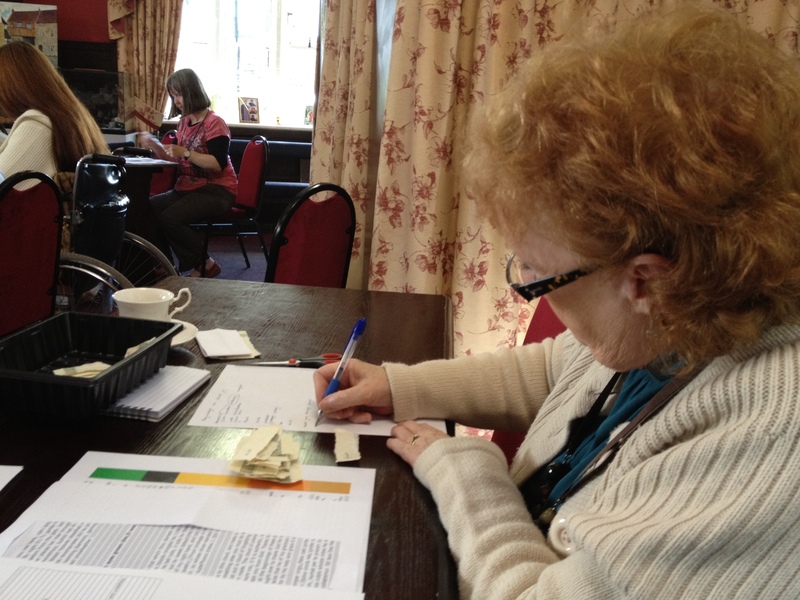 The project will also involve some workshops with staff, carers and stroke patients to enable some contributions from some new writers. 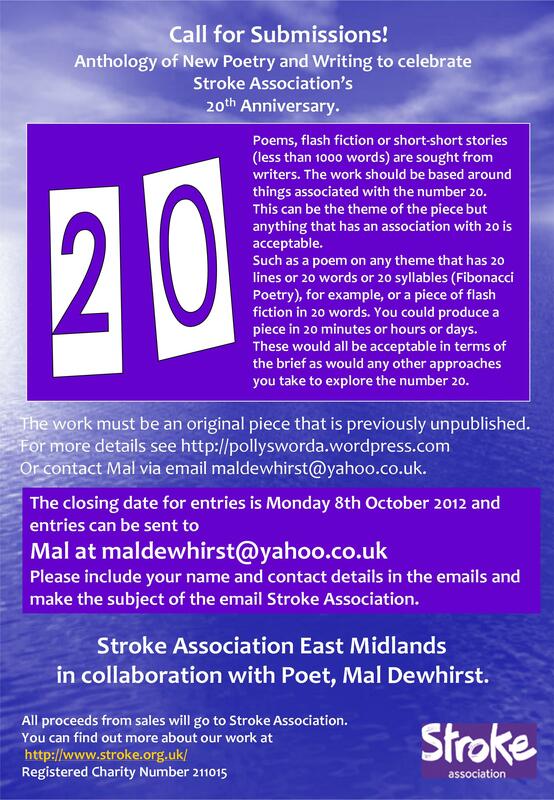 The closing date for entries is Monday 8th October 2012 and entries can be sent me at maldewhirst@yahoo.co.uk please include your name and contact details in the emails and make the subject of the email The Stroke Association. The Stroke Association would like to keep a copy of all the entries, as a legacy of the project in celebrating their 20 years of excellent work in supporting stroke patients and their families. Once the book has been produced there will be a launch with readings at a venue in Nottingham, which contributors will be invited to attend and to read their pieces. So get your pens out and write a piece in support of this wonderful charity and let’s help them celebrate their 20th anniversary with the very best of our creative writing. 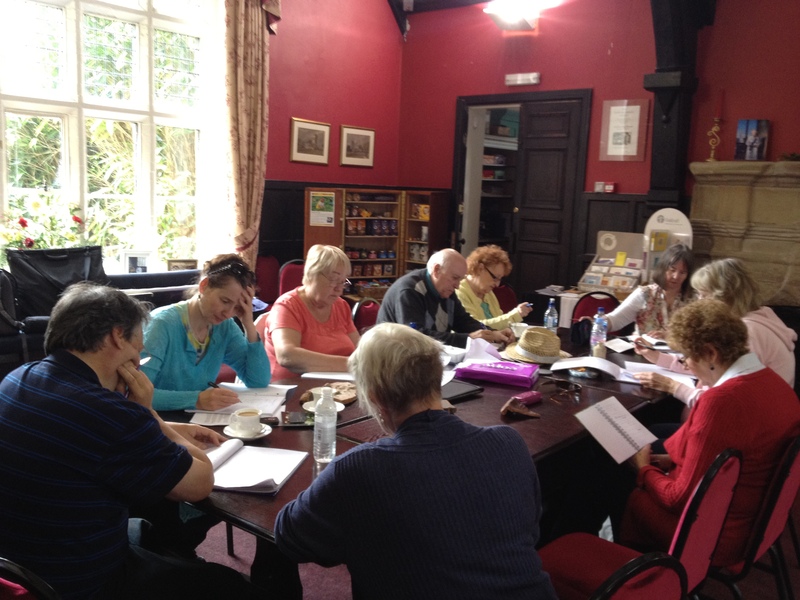 Last Friday saw the Leicestershire poet Matt Merritt, deliver his wonderful workshop. Matt explored ideas around gathering words as participants explored the site, then stripping them away into artifacts to be used in a poem and the spoil to be reviewed later to create a second poem. Matt then went onto the concept of Edges often used in Anglo Saxon Riddles, where a theme is explored with out direct reference to it. Matt’s final exercise was to consider a modern building in Polesworth and to write what Archaeologists would discover if the dug it up in 1000 years time. Three great approaches to creating poetry that the participants agreed they will take into their poetry toolkit when writing poems in the future. A window frame – a stone mason’s muse. Thanks go to Matt for providing such great inspiration. The remaining workshop dates are as follows. Friday 17th August 10am to 2pm with Jacqui Rowe – the workshop is entitled Object to Poem – Poem to Object – the workshop will use tiles to inspire new poetry in particular Haikus which you will then be able engrave on to a tile to create a new artifact. Sat 25th August 10am to 2pm with Maeve Clark – the workshop entitled Fragments of Time – the workshop will explore artifacts in great detail and explore its previous life and its current life and future life. The 25th will also see a full day of activities which will include a stone mason working on site to create a replica piece of a window that has been found on this years dig (see photo above) and also a tile maker who will be demonstrating how the floor tiles (tiles are big part of the dig this year). I also believe there will be an opportunity for people to make their own tiles. I will also be gathering words and limericks from the visitors. It should be a really great day. I am also receiving words from far and wide (well Oxford is the furthest so far) for the collaborative poem I am still looking for words to be included in a poem. Visit the Dig the Abbey website (www.digtheabbey.co.uk ) and take a look at the activities and send me your words as impressions of what you see. Also tell me where you are located in the world so that I can estimate how far your words have come to Polesworth using MapCrow. GRAFT – A PROJECT FOR NEXT YEAR. I am hoping to be able to stage an afternoon of poetry performance at Cromford Mill in Derbyshire next spring. 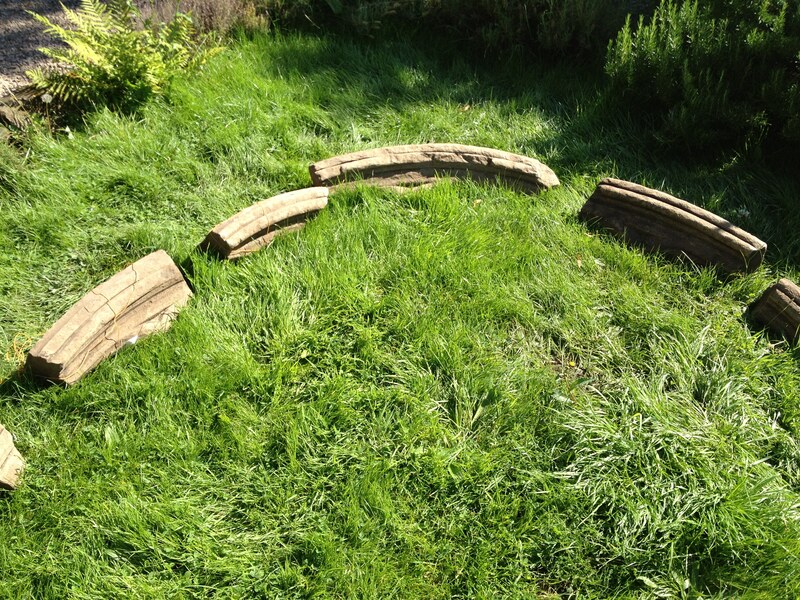 The theme will be around the project previously mentioned on this blog GRAFT. GRAFT incorporates the lives of working men and women in mines, mills, factories, fields and workshops that made this country the workshop of the world and saw the first industrial revolution, that was so expertly depicted in Danny Boyle’s opening ceremony of the Olympics. The lives of poets such as Alfred Williams, Tommy Armstrong and Ann Moss provide the inspiration to create a new narrative performance piece through contemporary poetry. If you are interested in contributing to this project then please contact me at maldewhirst@yahoo.co.uk. And to on top of all of this there are on-going discussions for further projects – So WATCH THIS SPACE. 24th August – Spoken Worlds at The Old Cottage Inn – Burton on Trent. SEEING THE HAIKU OF THE FUTURE. Participants who came from Polesworth, Lichfield and Burton, were encouraged to close their eyes and engage with the archaeology through the use of all their other senses. Jenny also explored the Act of Uncovering looking at the disgarded soil with a poem being written that described the motion of a bucket as the earth is removed and then tipped on the spoil heap. This was followed on Saturday with my workshop on the ARCHAEOLOGY OF POETRY which used a strata of words associated with Polesworth, including Latin Plain Song, The Cloud of Unknowing, The works of Drayton, Donne and Jonson, the poem Little Jim by Edward Farmer and some of the lines from the Poets Trail poems. Participants were asked to consider that process of the Archaeologist and to dig a trench into the strata and extract the words into finds trays, these were then used to create new poems. Terri Jolland – a poetry archaeologist. I them introduced his strata poem from last year, this was compared in structure with the original poem using the strata form by Hench-4 that will soon be seen on the Poets Trail. The participants were asked to describe objects from the dig as a single line and then to lay out the lines as strata in a new poem. 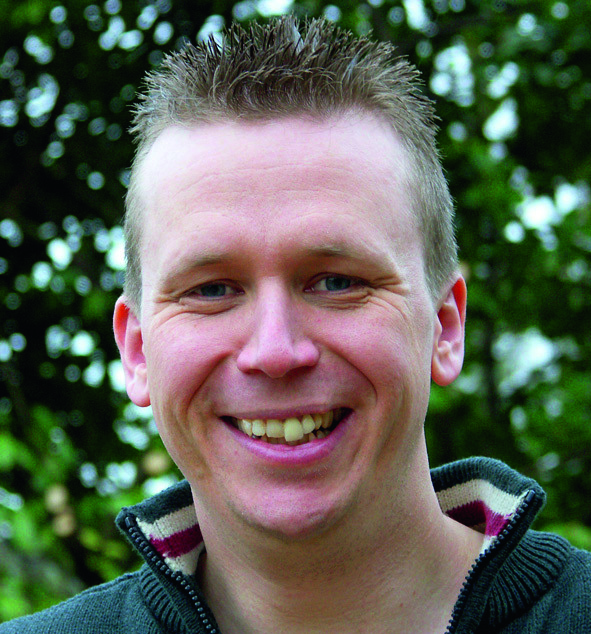 THE NEXT WORKSHOP IS ON FRIDAY 10TH AUGUST – 10.00 TO 14.00 WITH MATT MERRITT. I am still looking for Limericks on the theme of Archaeology, these will be judged by the Archaeologists. I am also looking for words to be included in a poem. Visit the Dig the Abbey website (www.digtheabbey.co.uk ) and take a look at the activities and send me your words as impressions of what you see. Also tell me where you are located in the world so that I can estimate how far your words have come to Polesworth using MapCrow. THERE ARE SOME OTHER EXCITING THINGS TO TALK ABOUT. HIROSHIMA HAIKU EXHIBITION – THE CHAPEL OF UNITY, COVENTRY CATHEDRAL, COVENTRY. Antony Owen reading at Night Blue Fruit. This is a contemporary fusion of eleven Haiku by my good friend the Coventry Poet Antony Owen and photography by Daniel O’Toole to commemorate the victims of Hiroshima and Nagasaki. – The exhibition will be attended tonight by representatives from Hiroshima and the Coventry Lord Mayor’s department for Peace and Reconciliation. There is also a display of artwork from the Hiroshima survivors recollections. RADIO WILDFIRE IS ON AIR TONIGHT AT 8:00PM – UK TIME. “So we hope you’ll join us to appreciate an exclusive interview with poet Nick Toczek discussing stolen lines, plagiarism and the (Baby)shambles of a court case he’s just been through to get due credit for his words – just one of the items on this month’s edition of Radio Wildfire Live! Also in the show there’ll be a poem from Longbarrow Press’ Rob Hindle; a superb poetry and sax track from LA based Frances Livings; and an extended poetic field improvisation of from Mark Goodwin. The Bunbury Banter Theatre Company will be bringing us social satire with Conception, a play by Tony C.Pearson and Terry Kitching. And there’ll be the latest edition of Mal Dewhirst’s The Lost Poets: this episode featuring the Japanese Poet Matsuo Basho. 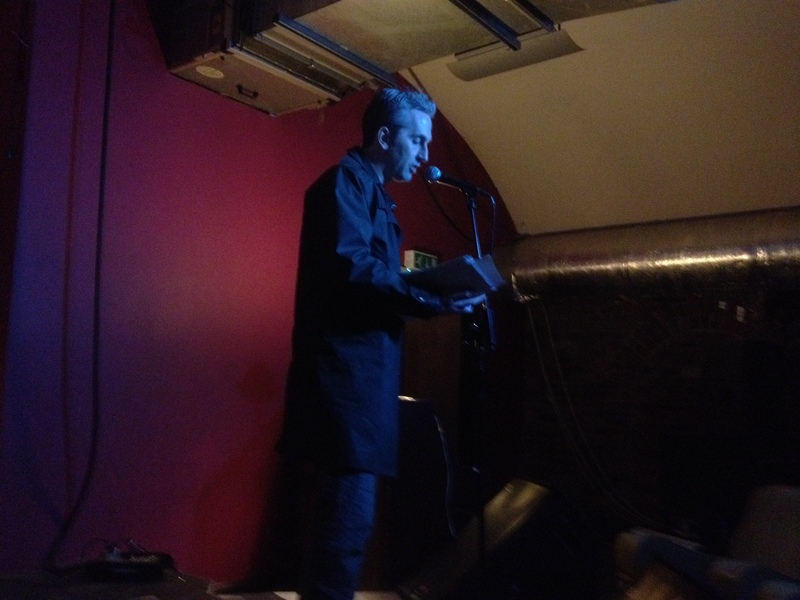 Plus more uploads, sourced texts and delvings into our back catalogue including Tom Sykes reading live in Bristol about life in a seaside town. Then at 10.00pm there’ll be the latest edition of Jan Watts’ Irons In The Fire, her musings about life as Birmingham’s Poet Laureate. Is it really twelve months since my wonderful trip to Cork and the readings at O’Bheal and the Whitehouse in Limerick? This year the honour of representing Coventry on the trip to Cork goes to Jayne Stanton and Janet Smith both of whom are worthy representatives, whose poetry will be a delight to the Irish poets. They will have a wonderful time under the guidance of Paul Casey whose relentless work in promoting poetry in Cork and the rest of Ireland is to be much praised and admired. We of course will look forward to the return trip when the Cork Poets visit us in November with readings at Night Blue Fruit in Coventry and at The Fizz in Polesworth. AND THOSE POTENTIAL NEW PROJECTS. My delight of the week – Well I can’t say anything at the moment apart from I am talking to several people over the coming weeks about some really interesting exciting projects. Watch this blog.